IIS has built in monitoring tools that can be leveraged to monitor site performance and bottlenecks. 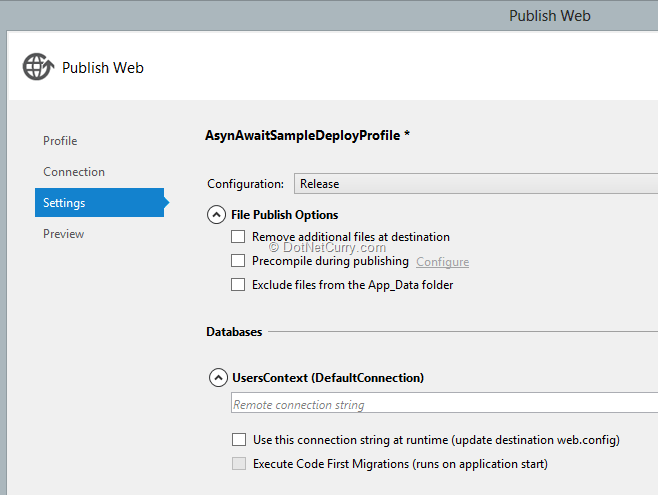 Today we’ll deploy our code sample from the Async Await article I wrote some time back and see what kind of performance characteristics we can extract out of it. This article uses Visual Studio 2012/2013. Step 1: To get started, first thing we have to do is start Visual Studio in Administrator Mode. 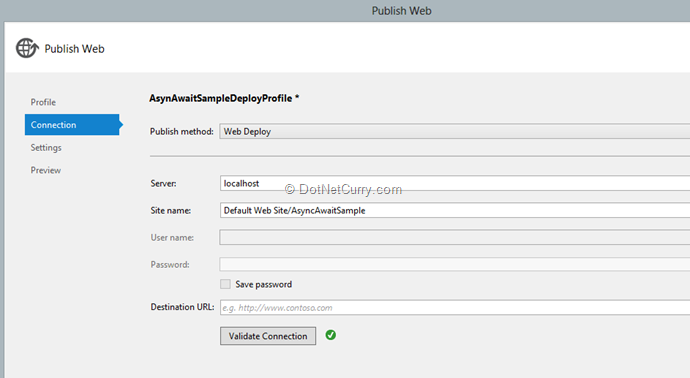 Step 4: Next setup the Publish Method as Web Deploy, provide the server name, this can be a non-development system also; the Site Name, whether it’s the root site or a sub-site of the root site. Click Validate connection to validate. 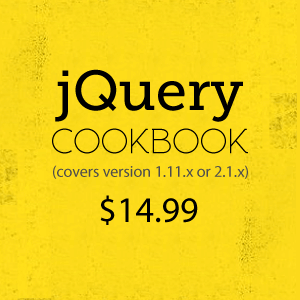 The next two steps are optional and you can hit Publish here itself. But let’s walk through the steps. Step 5: Here I have unchecked the ‘User this connection string…” checkbox. 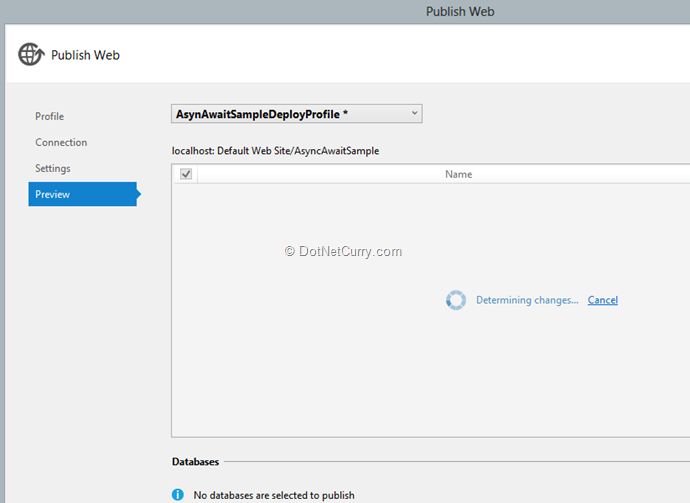 This runs an additional transform apart from the default deployment transform that is executed on web.config, web.debug.config etc. Click next or Publish from here. Step 6: If you click next, you get an opportunity to see the changes being deployed. For first deployment it’s everything, thereafter only the changes are deployed. Once you hit Publish, monitor the Output Window till the Build Succeeded and Publish Succeeded messages appear. If not, use the Web Platform Installer to install it. 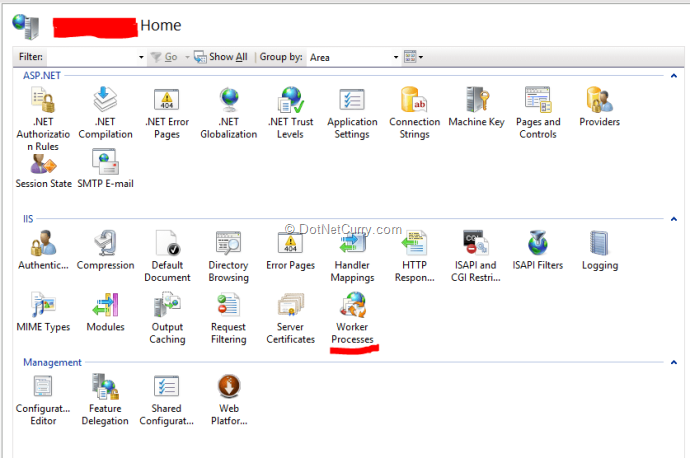 Once installed, double click on it to go to Worker Processes frame. Select the ‘View Current Requests’ link on the right or double click the correct application pool in the middle. Navigate to the main application and watch the Requests grow. If you take a closer look, this is a first time load of jQuery, MiniProfiler and Modernizer libraries are loading, hence the issue. Once the load is complete, refresh the browser, nothing is visible in Requests list because nothing is taking as much time anymore. To test again, reset IIS, reload browser and navigate again. Conversely, you can start load the website with one of the load testing tools around stressing out the APIs to check which one is a bottle neck on load. 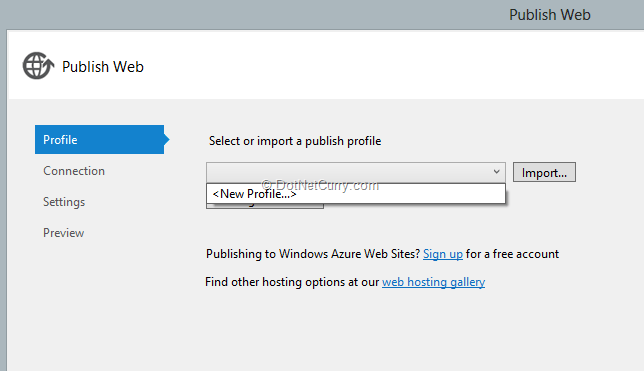 We had a quick refresher of how to deploy to IIS using Web Deployment Wizard. Thereafter we saw how (to obtain and) use the IIS request monitoring tool to nail down slow requests. That’s a wrap for the day, we’ll investigate more administration tools in the coming days. Thanks Suprotim Agarwal.Very much helpful post. I would appreciate you to post something about logging(errors) in ASP.NET - MVC with a complete demo.